The name Goornong is thought to be derived from an Aboriginal word meaning kangaroo, apple or unpleasant smelling plant. We prefer kangaroo or apple! The Goornong district’s main industries today are farming, olives, grapes and Fosterville Gold Mine. Due to our close proximity to Bendigo (30kms) many Goornong residents commute for work. Close by, the Campaspe River with its towering red gums is popular for swimming and camping at English’s Bridge and Rocky River Crossing. The Goornong Memorial Hall is centrally located on the Midland Highway and the railway between Bendigo and Echuca Victoria and is easily found as it is next to the Drovers Arms, our local pub and the only remaining hotel in town. In the 1800’s Goornong had 4 hotels with a further 6 within a radius of 8 kms. They must have been very thirsty people in days gone by. The hall is airconditioned and heated for your year-round comfort and is wheelchair friendly with ramp access, wide doorways and no steps. Parking is at the rear or on street. Festival of Small Halls rolls into Goornong on Sunday, 31 March 2019 with award-winning Canadian trio The Once and Australia’s John Flanagan. 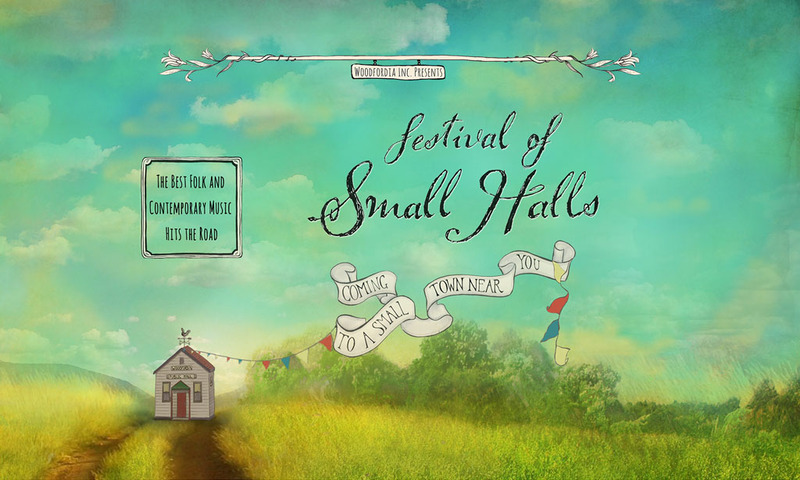 Festival of Small Halls Goornong will be supported by Luke Harrington. 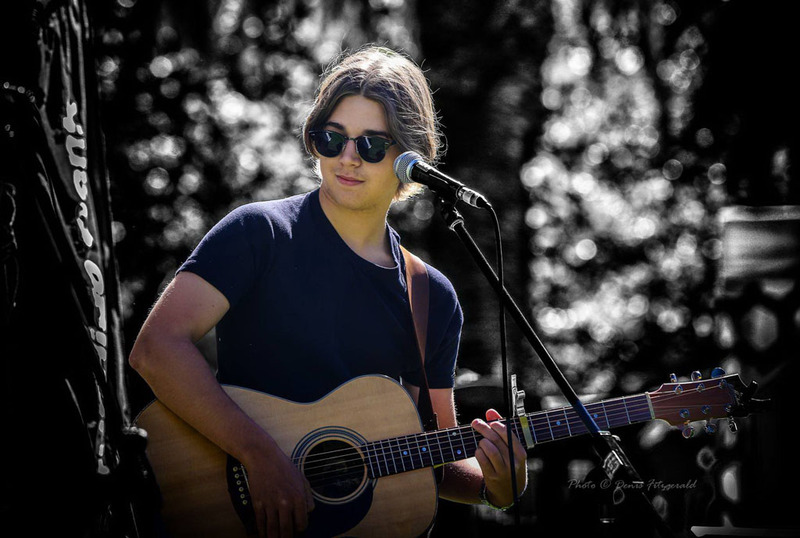 Eighteen is a bit young to be accorded veteran status, but at that tender musical age Luke Harrington has already spent 8 years on stage, including all 8 Bendigo Blues & Roots Festivals and 3 days at last year’s Elmore Field days. “I grew up with music,” Luke says. “Mum (Jo. Woodward) is a regular on the gig circuit and so there was always music at home when I was little. It just seemed natural to me to start playing too.” Luke’s musical history is very rich, with Mum and Dad’s album collection numbering over 700, with everything from Bob Dylan, Neil Young, The Beatles and the Stones, back to 50s rock n roll and 1930s delta blues on high rotation. Luke gravitated towards folk, but happily mixes in a few old rock and roll and blues numbers. He’s certainly not afraid of tackling ‘the biggies’, either, including Leonard Cohen’s venerable ‘Hallelujah’, Paul Kelly’s ‘If I Could Start Today Again’ some Robert Johnson tunes, as well as The Beatle’s ‘Come Together in his repertoire. Luke cut his performing teeth supporting Mum Jo. in gigs around his home town of Bendigo before venturing on to the Bendigo Blues & Roots stage in 2011 with Mum when just 10. Luke really hit his straps in 2018, playing over 50 solo shows, many of them for 3 hours, featuring over 50 covers and originals per show. Luke penned 15 originals which were recorded in 2016 by Mark Woods at his ‘Bald Hill’ music studio. A second album is planned for release later this year.